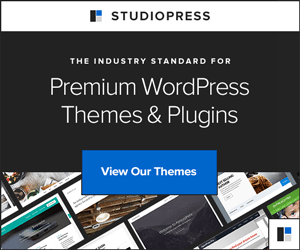 Below are a list of Premium WordPress Theme providers Small Biz Internet Solutions trust both from a support and quality perspective. We recommend that you purchase a premium theme which can vary in price from $20 – $100 for your website or blog. These are pre designed themes that offer great functions and design layout, not to mention seo capabilities as well. If you are not familiar with how WordPress and WordPress themes integrate, it is important before you make your final decision, that we have a discussion in regard to the features, layout and structure of the theme to ensure it meets your site’s goals and your preferred setup. We suggest you have a look through, highlight the ones you like in a word document with the url and then lets talk.